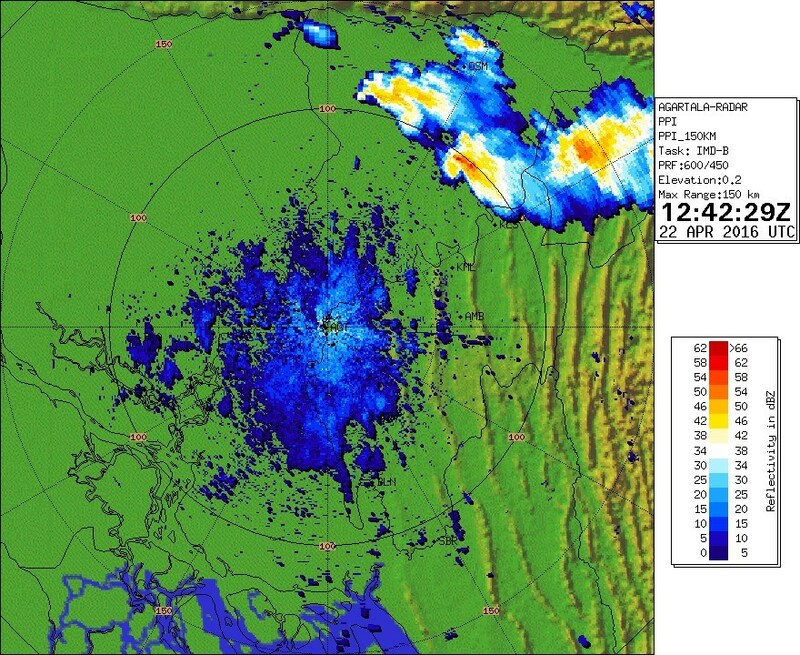 I was contacted by Jon Finch after the 22nd due to a radar image seeming to show a very tornadic looking storm, at the time I was unable to find any conclusive evidence a tornado had occurred. But now several videos have surfaced showing a tornado occurring on the same date, area and appearing to be the same time (near sunset). 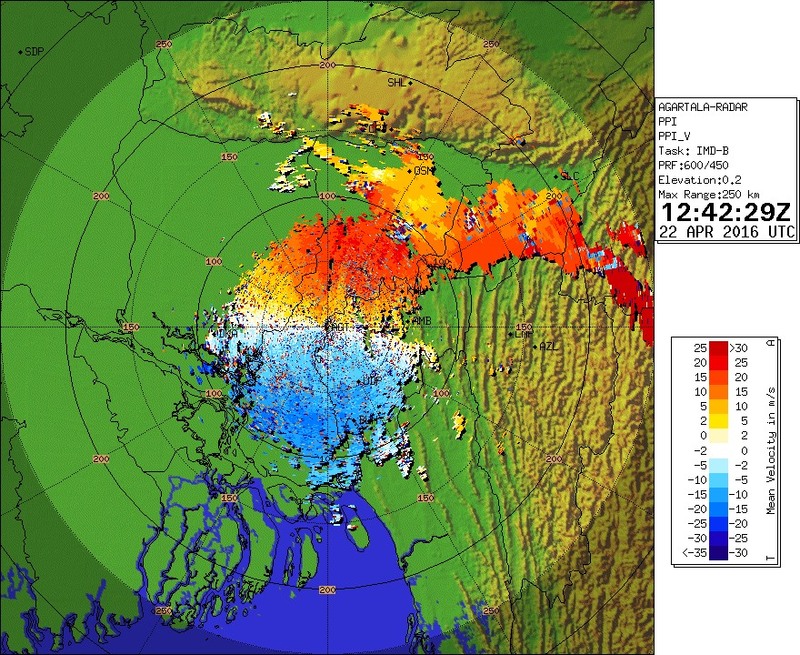 We believe this is sufficient confirmation that the first known tornado since Brahmanbaria has occurred in Bangladesh. Two supercells were seen radar, one in the 12z-13z timeframe and one right behind it which showed a strong hook in the 13-14z timeframe. We are still trying to verify which supercell is responsible based on time and location. 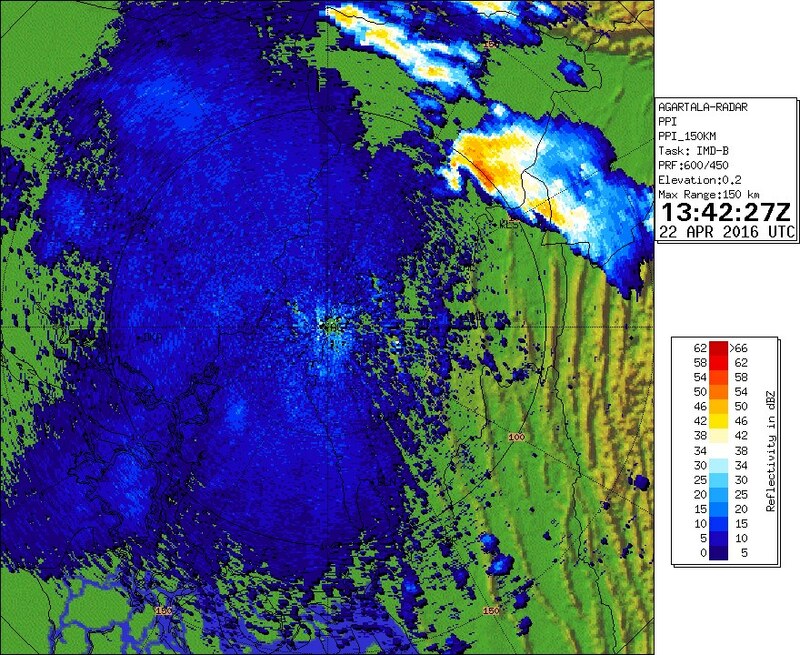 Despite the resolution and RF noise, there appears to be 40+kts of RFD clearly showing. Over the course of 5 hours there were four hook echoes showing in this same general line.